How to make a perfect microwaveable smores bar with 3 ingredients! On a rainy night during summer or cold winter day. Everyone can make these simple, delicious smores bars. How disappointing it is to have your mouth watering for a smores bar, and then it rains, putting a damper on any campfire plans. Not being one to start many camp fires, and often wanting to snack on the gooey combination of melted marshmallow, chocolate and graham cracker crust during winter, I decided that using the microwave to make these delicious treats would suit my fancy just fine. National Smores Day is August 10. 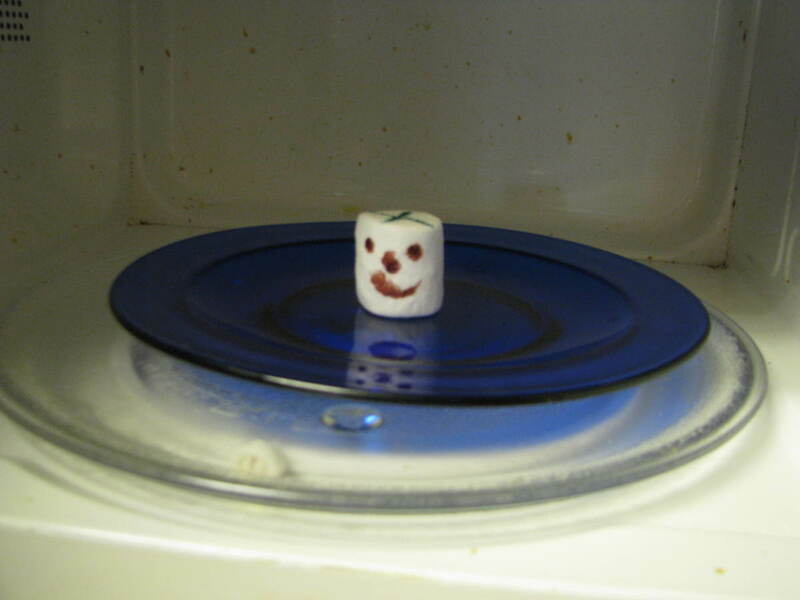 Using a microwave to prepare a tasty smores bar. Microwave ovens may vary. An indicator that the smores is ready is when the marshmallow expands. Overcooking may burn the chocolate. 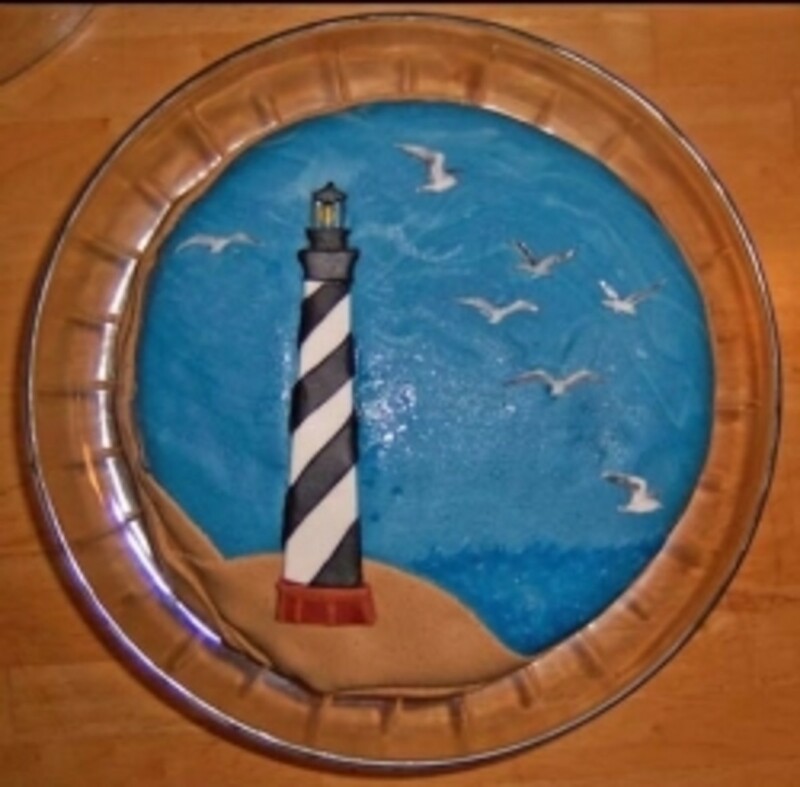 Be extra cautious when removing the treat from the microwave as the plate it was cooked on may be very hot. The down side to using a microwave and not a camp fire is that the marshmallows will not be toasted. 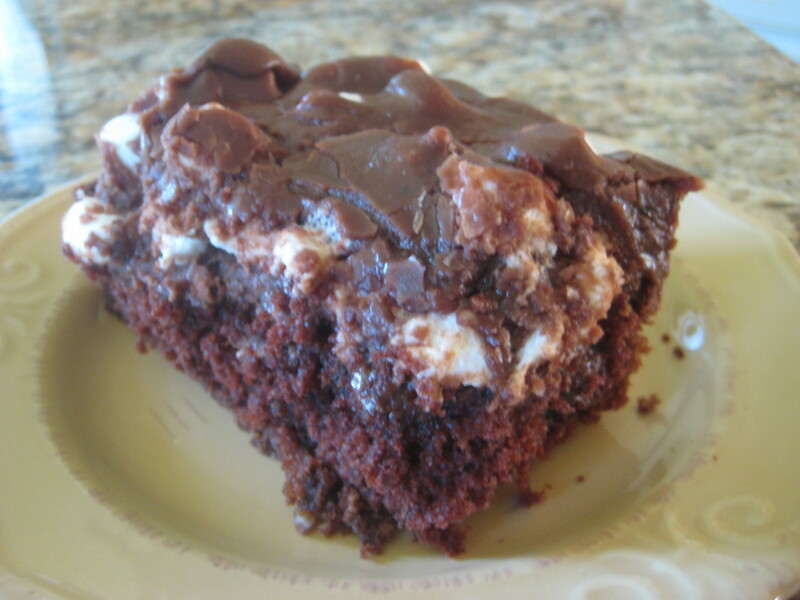 That in itself may be less enticing for some because toasted marshmallows are really the topping on the chocolate bar in this delightful dessert. Yields: Approximately 4 smores bars per chocolate bar. 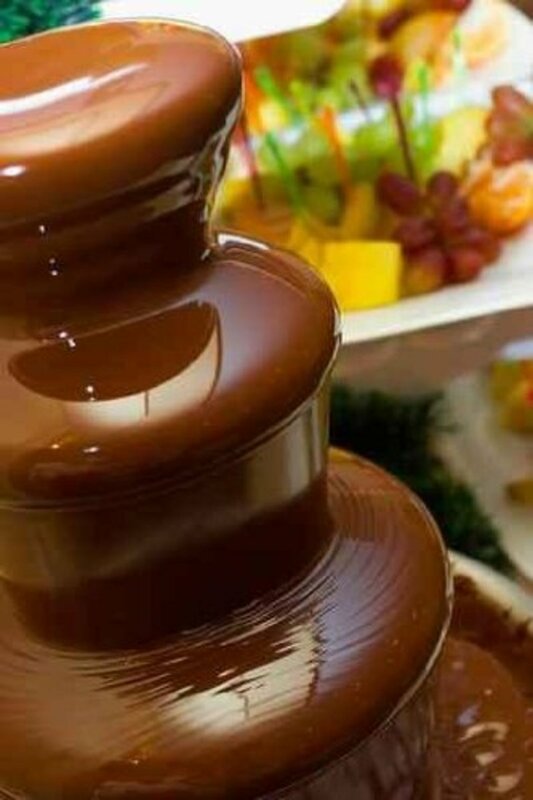 Have a batch of melted chocolate available, arrange chocolate squares, marshmallows, and graham crackers on a platter. Dip in melted chocolate in single servings or combined in to a smores treat. Place one half of a graham cracker on a microwaveable-safe plate. Top the graham cracker with 3 squares from a Hershey chocolate bar. Place 1 large marshmallow on top of the chocolate squares. Top off with the other half of the graham cracker. Remove from microwave. Contents will be very hot. 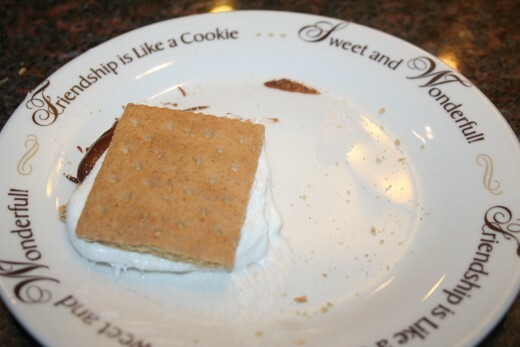 Smores bars are also spelled with a hyphen such as s'mores bars. The first recipe for a smores bar was written in 1927. 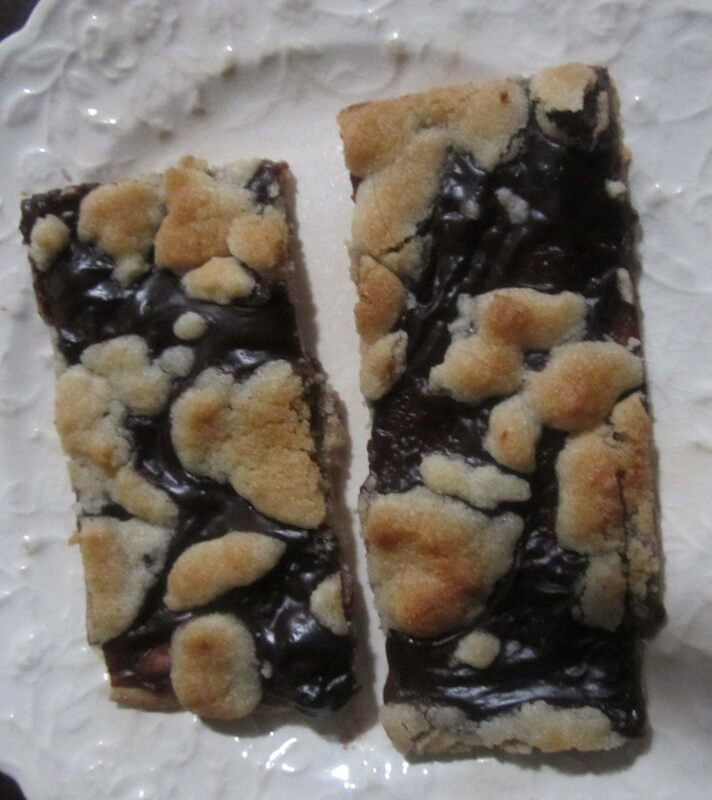 The first mention of a smores bar (then called some more bar) was printed in The Norwalk Hour, a Connecticut newspaper, in September 1925. 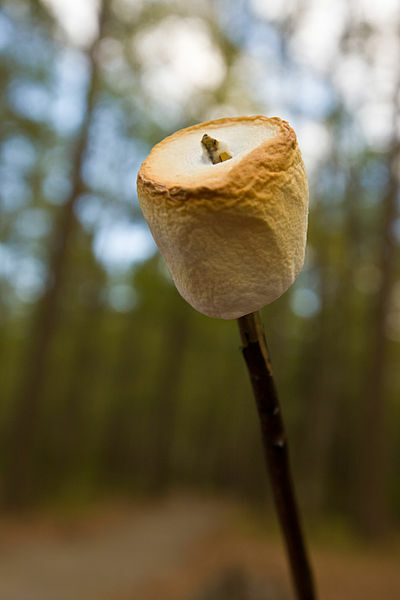 Creating smores bars over a camp fire have evolved with the invention of the marshmallow roasting rod and larger marshmallows. 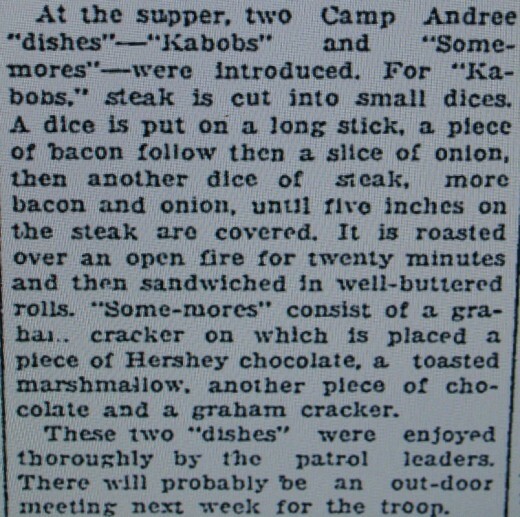 The first printed mention of a smores bar or "some mores". Smores flavored products now on the market. What else can you think of that promotes the flavor of this long-loved campfire favorite? Roasted Marshmallow on a stick. There is something to be said for the crispy texture of a roasted marshmallow that has been golden toasted to perfection over a campfire on a summer's night in the outdoor air. The gooey sticky inside of a marshmallow on a branch torn from a birch tree honestly can't be matched by that of a treat prepared indoor by microwave. However, as a second best and delightful treat when there is no opportunity or chance for a camp fire and in the midst of a cold day indoors sitting in front of fireplace, perhaps a microwave smores bar will fill the void of remembrance to those that love the outdoors. Camp fire smores bar on a stick. Camp fire smores bar on a metal rod. Reese's Peanut Butter Cups are gluten free except for seasonal shaped items. Warning! While many chocolate products listed here in are gluten free, it does not mean they are allergy free. Many products still contain peanuts, milk, or are processed in factories containing such. Please read labels to determine if a food product is safe before consuming. 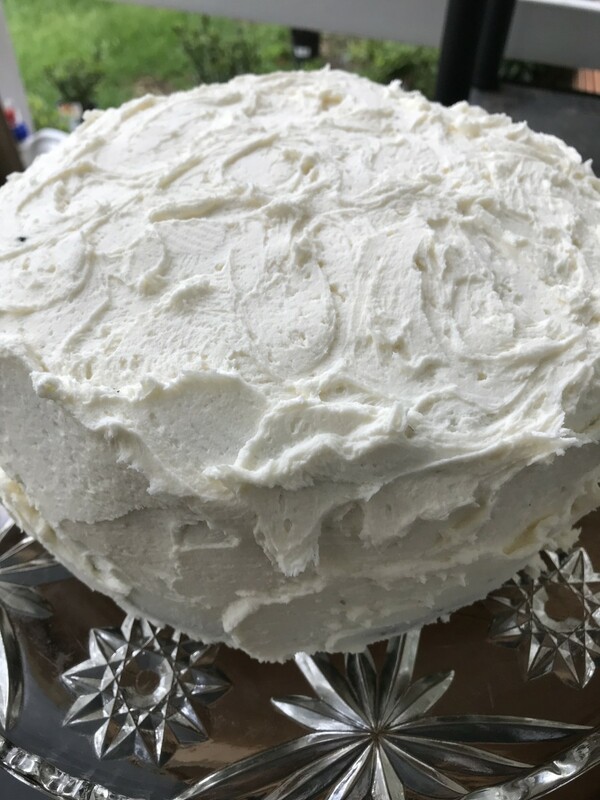 I look forward to hearing your comments and ideas about how you also create delicious smores recipes in nonconventional ways. Do you cook them indoors? Over campfires? How about over indoor smores roasters? Do you use Hershey bars or other nonconventional chocolates? Do you use any kind of flavored cracker besides a graham cracker? Have you ever been burned preparing or eating a smores bar? Thank you for taking the time to read this article. I hope it brings you happy memories. Crazy Kid Craft Ideas and Recipes: Expoding Marshmallows, Koolaide Paint and more!